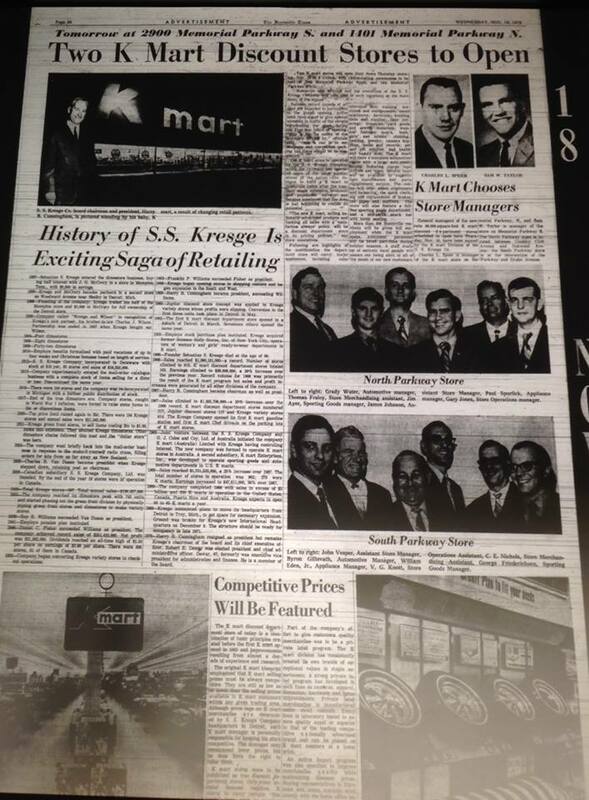 Years ago, I heard a tall tale of a Wal-Mart that took over a 60's era Kmart store in Alabama. I didn't believe it. Wal-Mart typically knocks down old stores and rebuilds, or at least changes them dramatically. I wasn't able to obtain photos until last year. It was true! Wal-Mart was in a 60s era Kmart that hasn't changed a bit on the outside. Many questions STILL remain.... Why didn't they change the store? What made them keep everything intact? As of October 2014, this store is now closed as Wal-Mart built a newer store in town to replace this one. Also as of October 2014, the identical Kmart that's still operating as a Kmart at 1401 Memorial Pkwy NW, Huntsville, AL is slated to close in January. 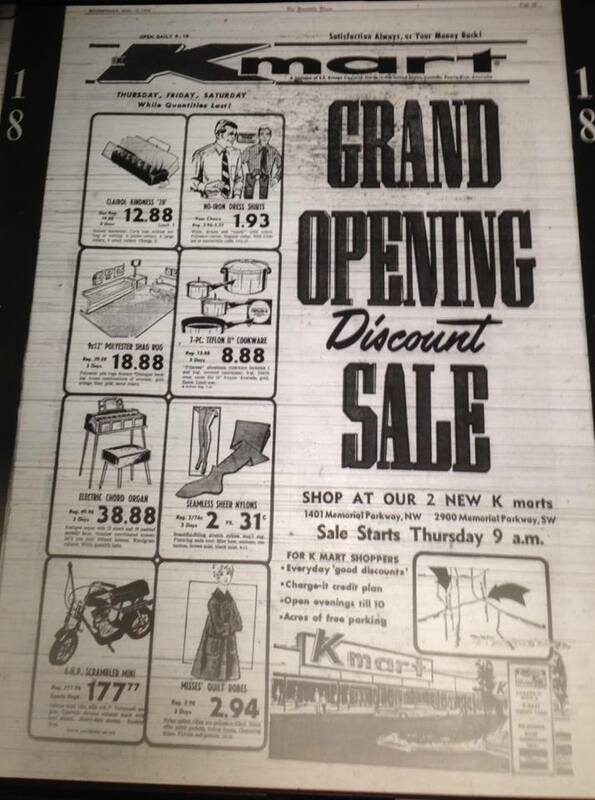 1970 a story of two Kmart's came to town. By 2015, the story will be closed. Here is a pictorial review of the Kmart that got turned into a Wal-Mart in Huntsville, AL. 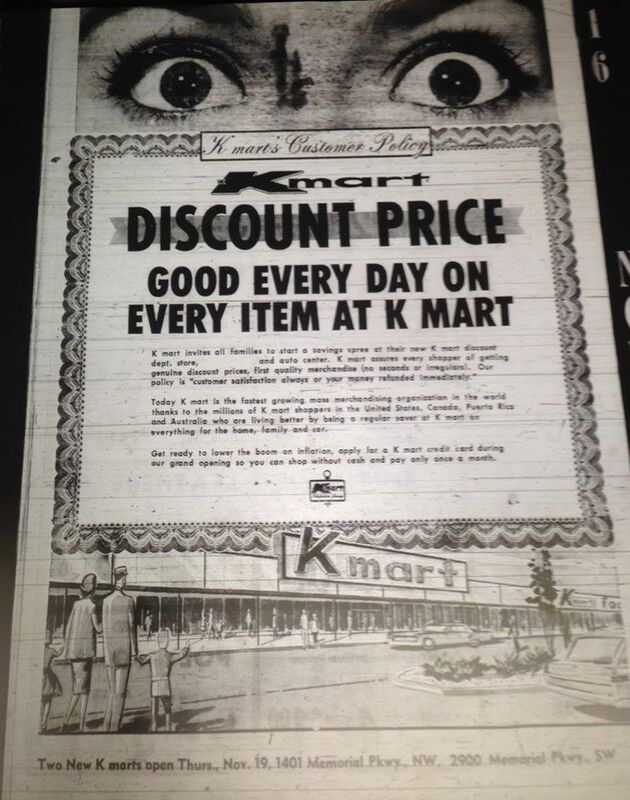 Kmart opened in Huntsville in 1970. It was a "60s era" store. Not sure what Wal-Mart did here. Kmart wouldn't of had this sort of opening and drop down. The restrooms are in their original position. Wal-Mart just added walls and such to make it seem different. Much like some Kmart stores, this Wal-Mart hasn't seen an update in MANY years! Look at those signs! If you have more info, or photos, please submit them to deadanddyingretail@gmail.com or feel free to comment below!